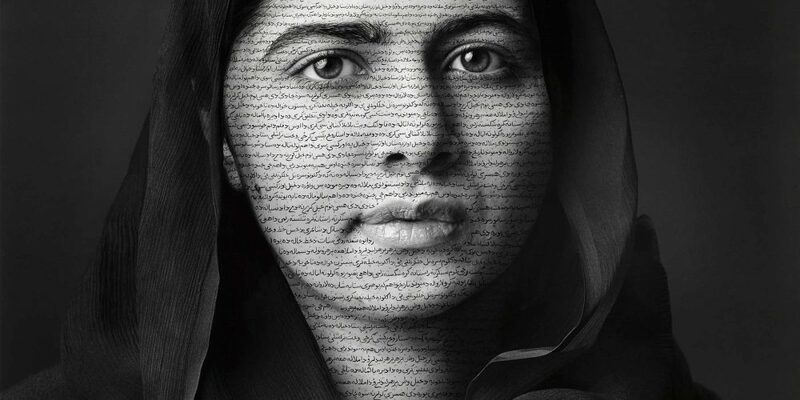 The National Portrait Gallery has commissioned a new portrait of Malala Yousafzai, the girls’ education activist by Iranian-born artist and filmmaker, Shirin Neshat, supported by Scott Collins and Lotta Ashdown, in partnership with Outset Contemporary Art Fund. 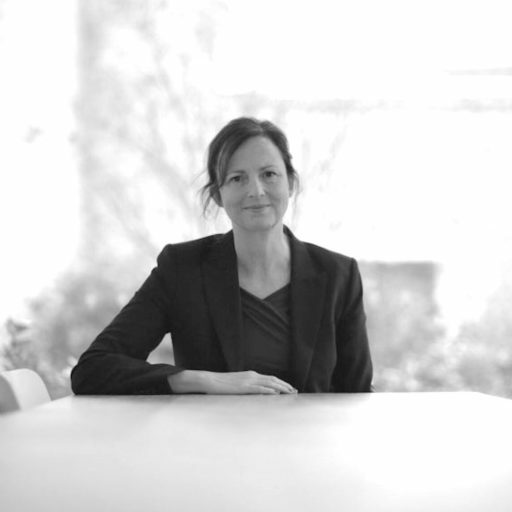 This is the first in a series of three commissions supported by Outset over three years. Malala’s portrait is one of a pair of portraits by Neshat, acquired for the National Portrait Gallery Collection. Neshat took a series of photographs during a sitting in London in March 2018. From this the artist and the Gallery selected two photographs, onto which Neshat has hand inscribed in calligraphy a poem, MALALA II: (Malala Yousafzai), by the Pushto poet Rahman Shah Sayel from Peshawar, written in 2011 when Malala had already become a well-known activist for education. The poem addresses the legendary Malala of Maiwand and praises Malala Yousafzai, while making connections between the two young women. The second portrait of Malala seated at a school desk with an open book will travel to Birmingham Museums, where it will be unveiled in 2020 as part of Coming Home – a new initiative, which will see fifty portraits from the National Portrait Gallery’s collection travel to places across the UK they are closely associated with. Shirin Neshat’s early photographic works explored questions of gender in relation to Islamic culture. Her subsequent video works departed from overtly political content or critique in favour of more poetic imagery and complex human narratives. In 1999 Neshat was the recipient of the Golden Lion Award at the Venice Biennial. In 2009, she directed her first feature-length film, Women Without Men, which received the Silver Lion Award for Best Director at the Venice International Film Festival. Her most recent feature film Looking for Oum Kulthum was released in 2017. O Malala I, Malala II is your reincarnation and the new Malala of the Pakhtoons. ?You can listen to your own voice when Malala II is speaking after a long time, as Malala II is obsessed with what you believed in and acted upon. ?As the flag made up of your red shawl is still flying over your grave in Maiwand as a symbol of your heroism for the sake of?your Pashtoon Nation, Malala II is also following in your footsteps. ?As you made your Pashtoon Nation undefeatable in the history of Maiwand by your own single tappa [a short folk song of northern Indian origin], Malala II is also determined,undefeated and strong enough in carrying out her mission. ?No one could break your record of bravery for the last two generations, but she [Malala II] did so, because she does the same for her nation, as you did for yours. ?If the people had valued you as equal to flowers [because of your bravery and achievements], so have the flowers?themselves gifted Malala II to the people of Pakhtunkhwa. ?You might have seen the wreckage of your country, but this Malala II is fit and proper enough to find a solution for compensating for that wreckage. ?Whatever tappa you had sung in the battlefield of Maiwand; that tappa had been coined and invented by Malala II, as she?is hugely inspiring. ?As you encouraged the defeated and disheartened fighters of your nation to come back to the trenches and fight against the enemy, this is Malala II who is determined to accomplish your mission. ?While you brought a huge honour to your nation by encouraging your countrymen to fight against the enemy, the same battle is fought by her [Malala II] with the help of a pen [education] to serve her nation. ?You are the reflection of the poetry of Sa’eel, but she is a light born from your reflection. Coming Home is a major new project which will see the National Portrait Gallery loan portraits of iconic individuals to places across the UK they are most closely associated with. The initiative will enable fifty portraits from the national Collection to travel to towns and cities across the country from 2019 onwards and has been made possible by the Department for Digital, Culture, Media and Sport, and generous contributions from The Thompson Family Charitable Trust and funds raised at the Gallery’s Portrait Gala in 2017. We are grateful to the Outset Young Production Circle for their imagination, foresight and generosity in supporting an exceptional project at a critical moment.